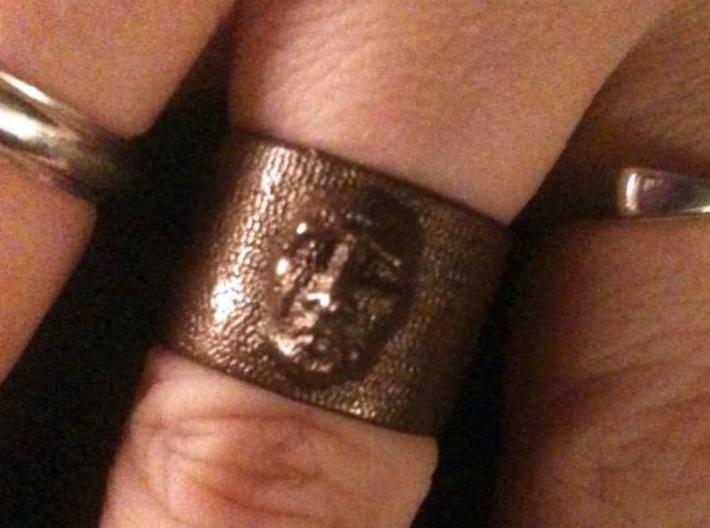 Here is the creepy face ring in glossy bronze. It came out even better than I expected. Lots of detail. 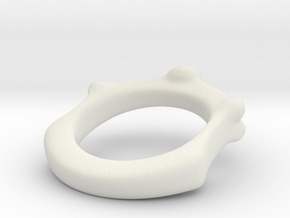 Well this ring is really quite cool when printed. The detail of the face is amazing, I was very impressed with it. 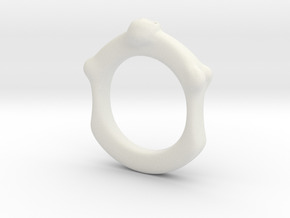 I did this ring in 3DS Max and Zbrush all designs are 100% my original artwork. You can see this gentleman's pained expression quite remarkably. 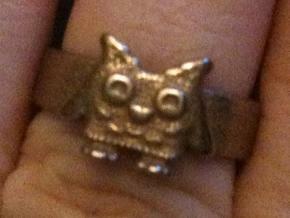 His furrowed brow, pursed lips and clenched eyelids make for a very unique wearable art item. If you are interested in other sizes please contact me and I would be happy to make one for you.